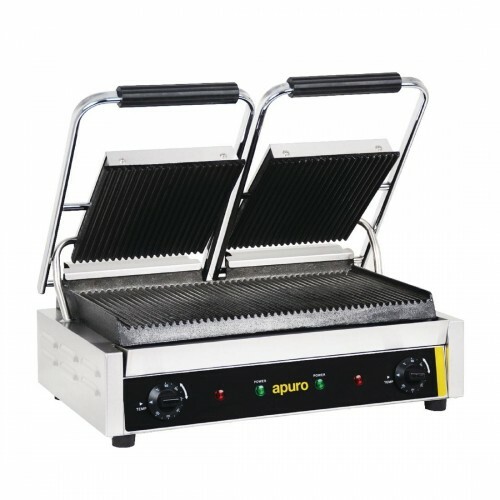 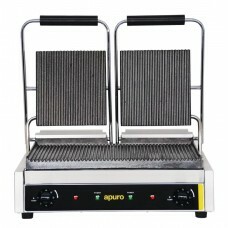 Compact, great value stainless steel unit with ribbed cast iron plates for healthier grills in minutes. 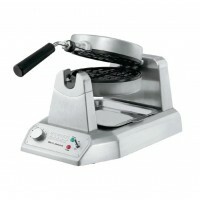 Adjustable swivel head for different food thicknesses. 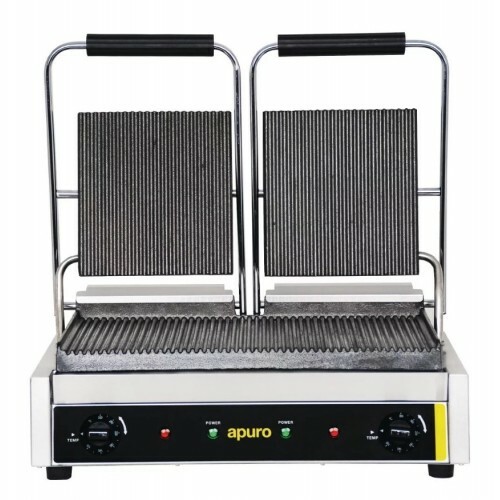 Supplied with griddle scraper.